A nurse prepares a flu shot at the Salvation Army in Atlanta. The nation’s nasty flu season has been fading for two weeks now, and health officials now feel confident the worst is over. 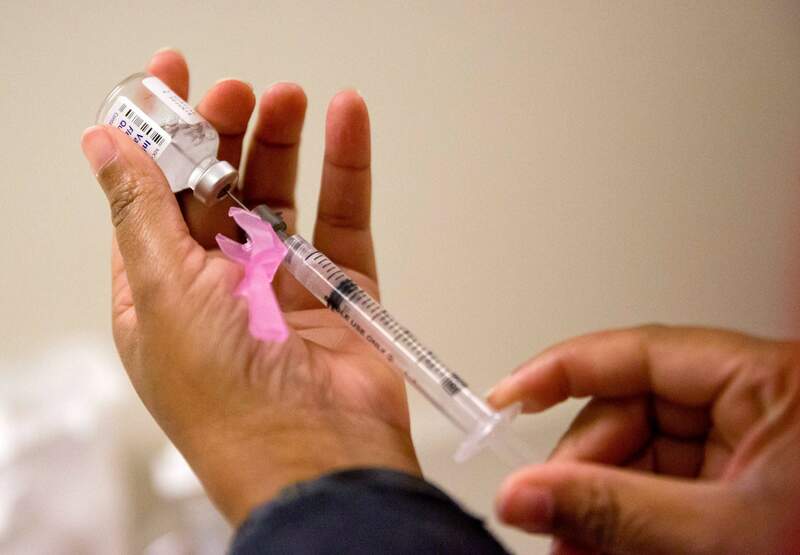 The Centers for Disease Control and Prevention said the season apparently peaked in early February, when 1 of every 13 visits to the doctor were for fever, cough and other symptoms of the flu. That intensity level was among the highest seen in a decade. But CDC officials on Friday said it’s been falling since then, and last week dropped to 1 in 20.